ATF, while hyper-detailed (detailed enough to be in use by actual military organizations around the world) is easy enough to play that you won't need Pentagon clearance to try and understand it. New users will find the extensive manual well-written and helpful and even more help can be found online with the exhaustive tutorials written by the staff of ProSIM themselves. 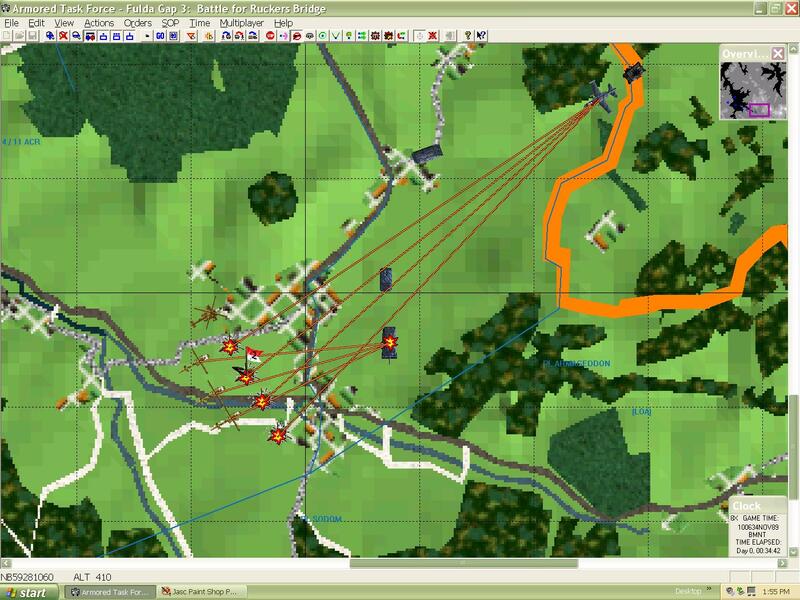 ♦ One of the most important aspects for any tactical game is the terrain. Units live and die by the lay of the land and the ultimate commander knows exactly how to use this to his advantage. 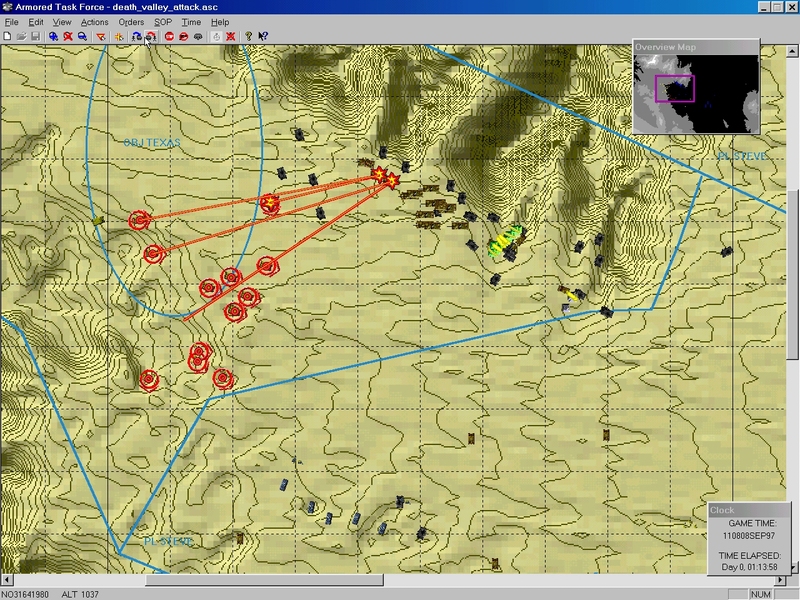 Armored Task Force's terrain model is by far the highest fidelity seen in a commercial-grade wargame. Forget about a hex based model, maps use a continuous elevation terrain model just like government and military maps. Hull down positioning now means actually finding the proper terrain for your tanks as opposed to a clicking on an "entrench" order. Forests, roads, and structures are all represented and must be considered in your avenues of approach. 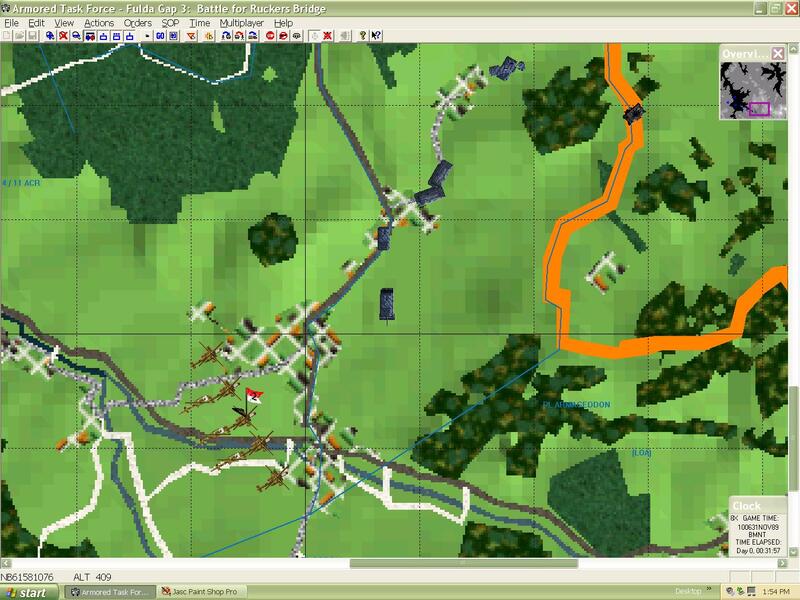 ♦ Combat resolution is resolved at the single vehicle level. Even more impressive a vehicle's facing is taken into account, including its turret. 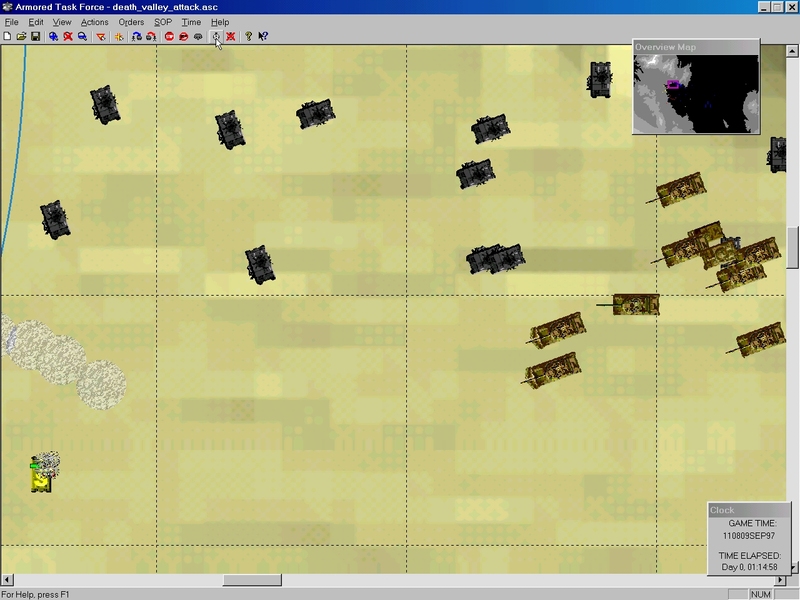 Unlike a lot of wargames this means that maneuvering your forces for those side and rear shots is paramount, just like a real commander in the field faces. Besides the extensive armor modeling vehicles can also now pop smoke and are intelligent enough to know when to do it. ♦ ProSIM's games have always been known for their excellent artificial intelligence and Armored Task Force carries on the tradition. Both friendly and enemy AI react intelligently to their current situation. Artificial intelligence that is actually intelligent, what a concept! 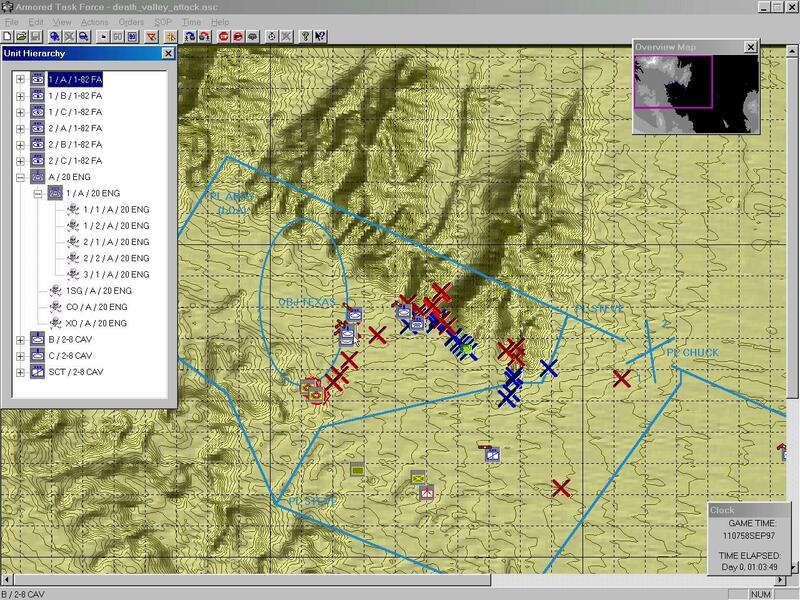 Friendly AI works on a layered system, meaning that you can give as simple of an order as telling a unit to attack over that ridge, or as complex as attack over that ridge by way of that valley while taking overwatch position here for that platoon of M1s. Micromanagement becomes a thing of the past in Armored Task Force! Enemy AI is no slouch either. Working off decision point tactics you'll face off against a computer opponent that takes the big picture into account and doesn't resort to cheating. ♦ Variable levels of command. You can control the sweep of entire companies or take control of individual vehicles. Most gamers will want to take on a mixed approach, setting up grand orders at the highest level and then taking control of individual units when things hit the fan. "You know, this is one hell of a game. I can see why the military would find this useful. Keep up the good work." Register your copy of Armored Task Force. 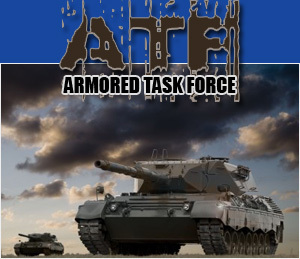 ATF: Armored Task Force is published by Shrapnel Games, Inc. This demo version contains two scenarios set in Death Valley, California. 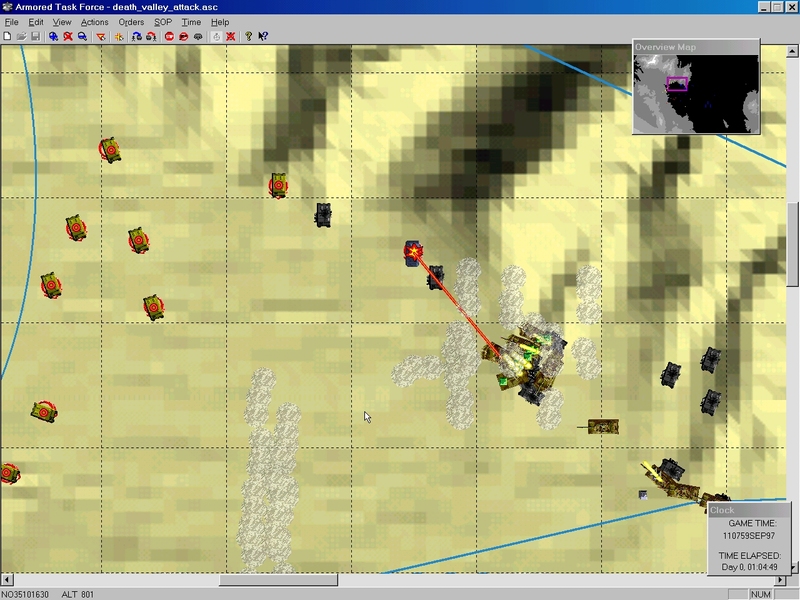 This is the final build of the game, with all of the friendly and enemy AI layers complete. Our intent is to let you see some of the innovative new features that we have packed into this release. We hope you enjoy your Armored Task Force demo experience. Please contact customer service if you have any problems with the demo. This PDF describes how to modify a scenario to allow a scenario to be played from the opposite side than it was originally designed for. When you extract the files, extract them to the 'Data' subdirectory of the Armored Task Force install directory on your computer. That's it! If you did everything right, two new scenarios, 'Bihac 1' and 'Saudi Arabia 1' should appear listed with your other scenarios when you start Armored Task Force and select 'Begin a New Game'. This PDF describes how to use the ATF Power Toolkit that is included in ATF patches after v.1.02. A small map of the city of Fallujah. Designed by Raging Tiger designer Curt Pangracs.